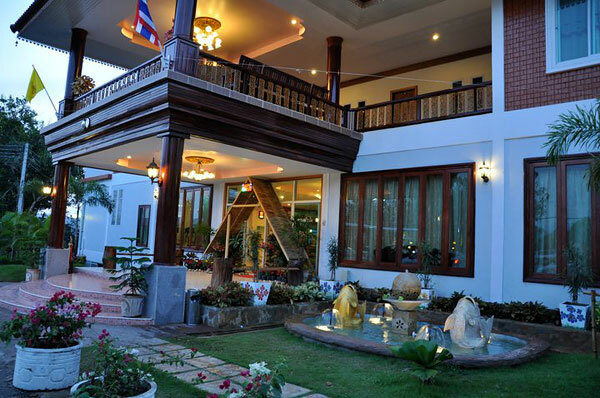 Suan Magmai Resort is an accommodation situated not far from Mon Bridge, an attraction and the landmark of Sangklaburi district, Kanchanaburi. It is a convenient resort. Those who do not have a private vehicle can walk to Mon Bridge within five minutes. 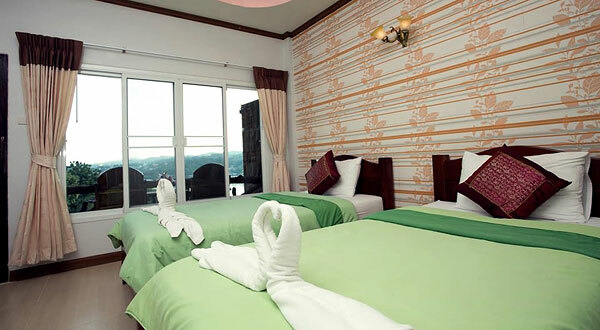 Although this resort is not large, its facilities in the resort and in the guest rooms are satisfactory. 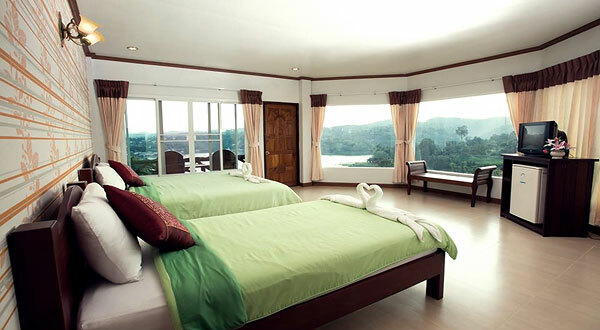 Suan Magmai Resort can be seen as a boutique resort, since it has only 20 rooms to support guests. 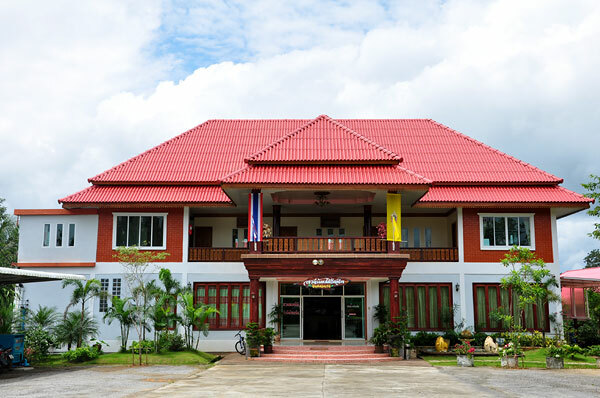 The building is 3-storey located on the watercourse bend of Songalia River. 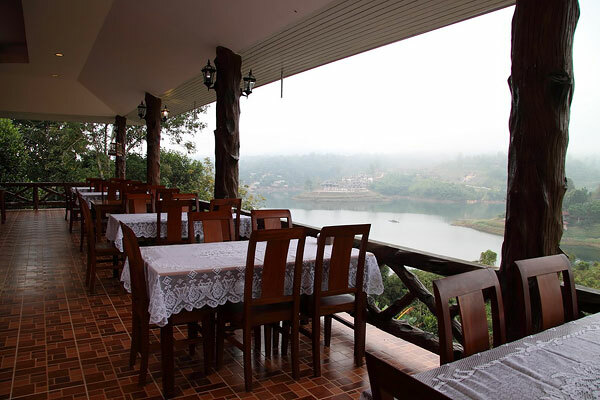 Although From this location, the resort cannot provide a spot to see Mon Bridge, it can instead offer a great top view of Songalia River. 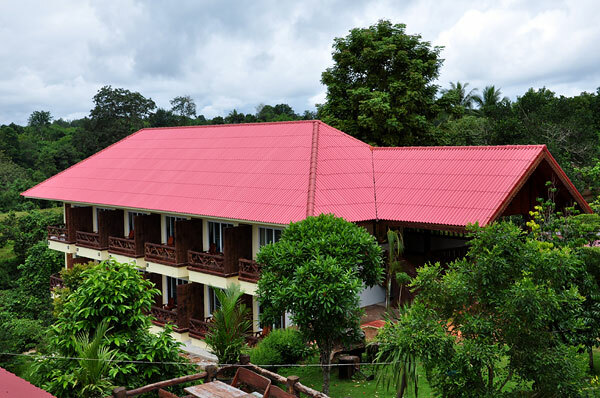 Note that, since Sangklaburi is not large and guests can access tourist attractions from the resort easily. 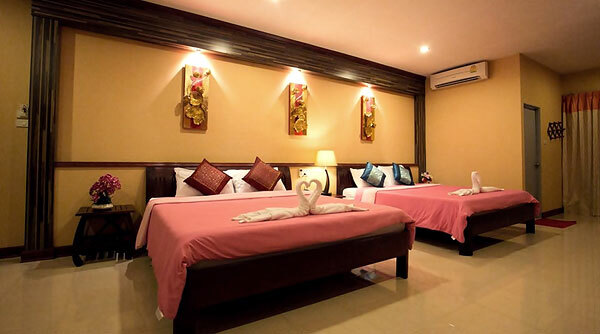 The rooms available in this resort are neat, clean and simply decorated. There is a balcony to see the river. 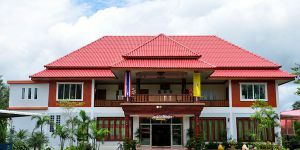 In the room, guests can find standard facilities – air conditioning Television, refrigerator, free internet WiFi, and water heater. 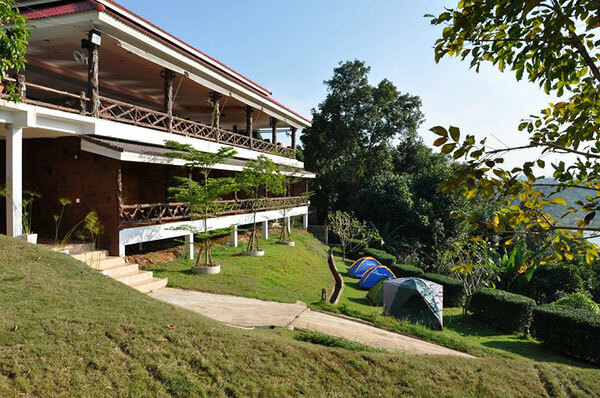 Those who would like to stay over a night in a tent can request the resort (250 Baht/night), and the tent area is set on a good location to see view. Keep in mind that Restaurant opens from 10 AM – 10 PM. 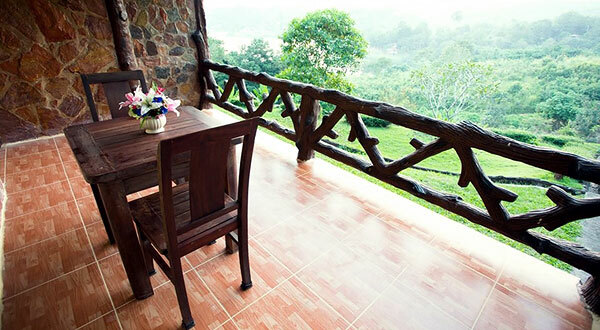 Guests can ask resort staff for arrangement of activities or visiting attractions. 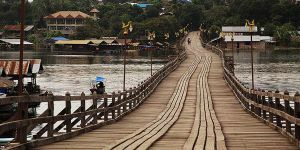 Wooden Mon Bride is the longest wooden bridge in Thailand. This bridge is like a landmark of Sungklaburi district. Visitors would be amazed from how beautiful this bridge is, and it can become more remarkable when knowing that the bridge was built by the collaboration of residences in this area. 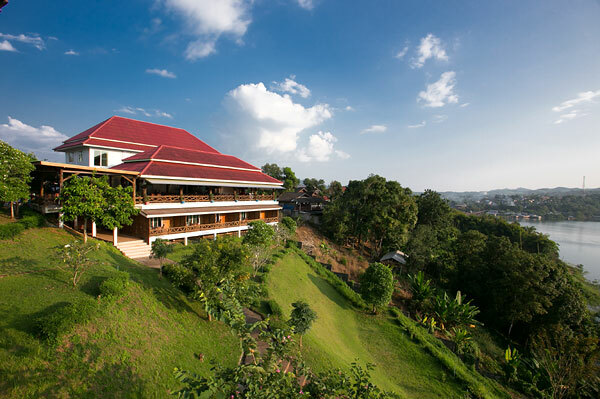 When staying here for a little, visitors can also see how Mon people live. 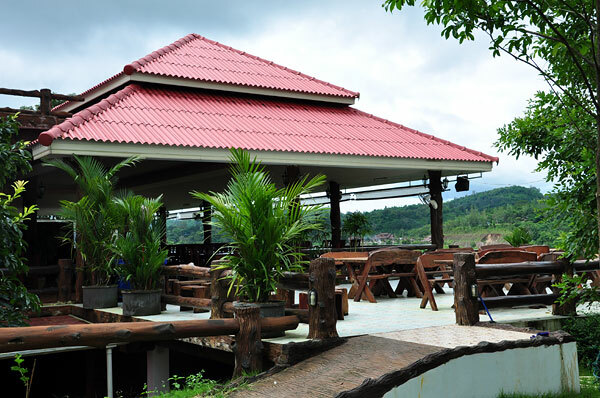 This attraction is located in Sangklaburi district, which is next to the west border of Thailand. Wat Wangwiwekaram is known locally as Uttama Temple. 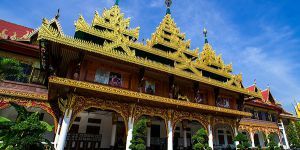 It is the most important temple in Sangklaburi district, so either local residences or Thai visitors always come to respect to a famous previous abbot (and temple founder), named Uttama. This place becomes more an interesting place for visitors when there is a ceremony in Mon style, because the ceremony will be performed here. The location of this temple is in Sangklaburi district, where local residences lives surround the temple. Phra Phuttha Khaya Chedi is an important pagoda in Sangklaburi, situated near Wat Wang Wiwekaram and the river. It is a giant golden pagoda, which can be seen from far away. Because of holy relics kept inside the pagoda, there are a lot of visitors come to pay respect to wish for good things in their life. 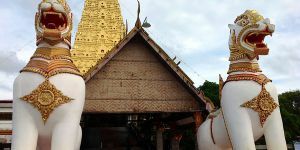 This pagoda is also a center to perform ceremony and festivals, such as Songkran Festival, in Sangklaburi area. Underwater Temple is one of most interesting attractions in Kanchanaburi because this attraction is really different from many others. The temple ruin is under the water, where normally we can see only the topmost of the bell tower. 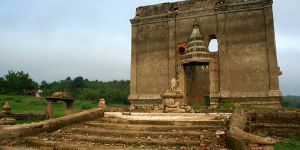 Visitors can take a boat to see the ruin in the water, but if they visit this attraction in summer season, March – April in Thailand, the water is dried enough for visitors to walk inside the building to see how it is.